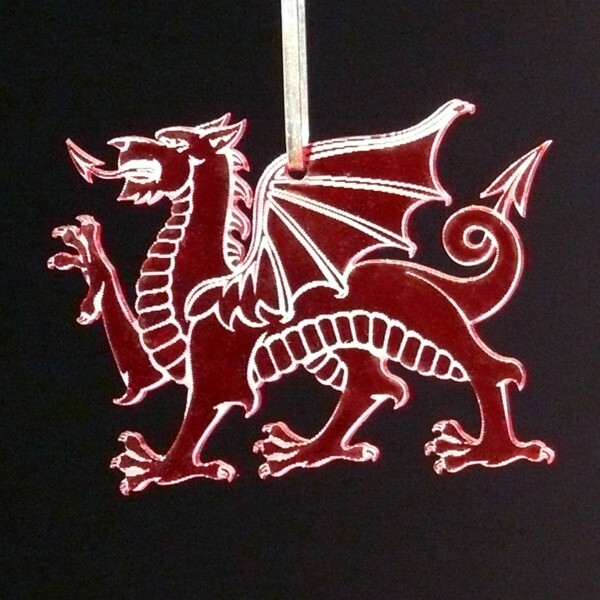 A hanging ornament featuring the red dragon of Wales. Engraved on translucent red acrylic. 7cm wide.